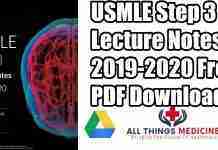 The USMLE Step 2 CK examination is your next and important step to landing a dream residency in the USA after passing your step 1 with great scores. 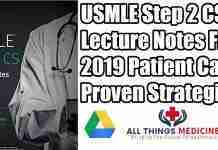 This article will help you to understand more about this specific USMLE step 2 exam. 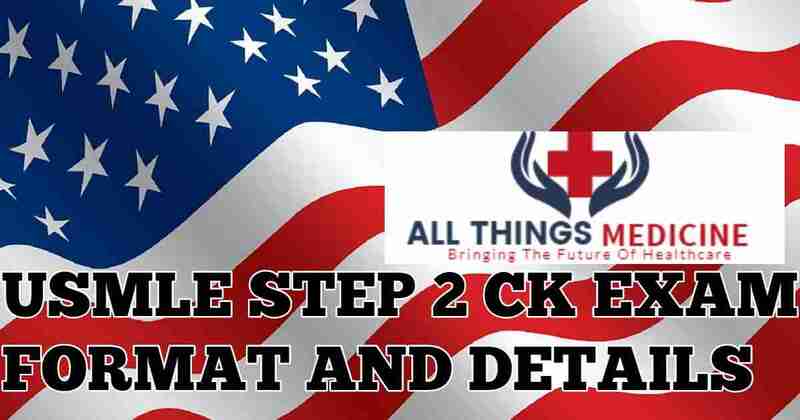 Step 2 CK (Clinical knowledge) as the name suggests tests you whether you can apply your knowledge in practical, i.e your medical knowledge, skills and understanding of clinical science for the betterment of your patient and focuses more on health promotion and disease prevention. You can apply for step 2 CK only after you have passed your step 1 exam. 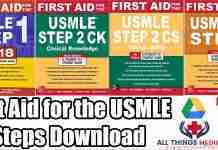 Step 2 CK consists of MCQs (multiple-choice questions) prepared by the faculty members, investigators, teachers, and clinicians about whom no one knows and they make up the USMLE Test material development committees. All members of the committee specialize in their respective fields. The exam takes place wholly in one day. Divided into eight 60-minute blocks or stations. administered in one 9-hour testing session. The number of questions vary per block but will not exceed 40. The total number of items in the exam will not exceed 318. The exam is a computer-based exam. The examination also includes a minimum allotment of 45 minutes of break time and a 15minute optional tutorial. The amount of time available for breaks may be increased by finishing a block of test items or the optional tutorial before the allotted time expires. 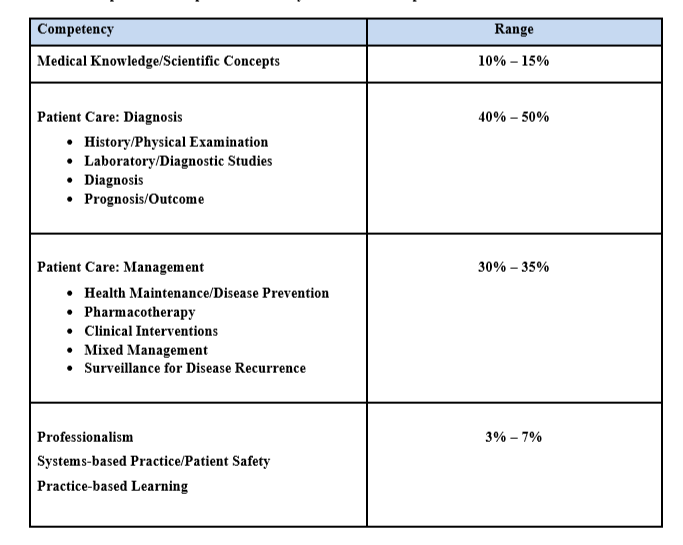 Step 2 CK assesses an examinee’s ability to apply medical knowledge, skills, and understanding of clinical science essential for the provision of patient care under supervision and includes an emphasis on health promotion and disease prevention. Step 2 CK ensures that due attention is devoted to principles of clinical sciences and basic patient-centered skills that provide the foundation for the safe and competent practice of medicine under supervision. Test questions focus on the principles of clinical science that are deemed important for the practice of medicine under supervision in postgraduate training. 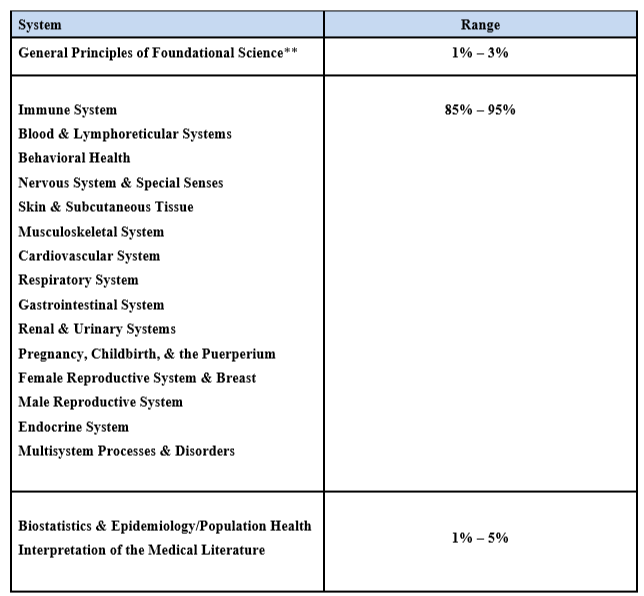 Test questions are classified into one of 18 major categories, depending on whether they focus on concepts and principles that are applicable across organ systems or within individual organ systems. Most organ systems are subdivided into normal and abnormal processes. They include subcategories of specific disease processes. In most instances, knowledge of normal processes is evaluated in the context of a disease process or specific pathology. Sections focusing on individual organ systems are subdivided according to normal and abnormal processes, including principles of therapy. The individual should be currently enrolled or should have successfully graduated from an international medical school. The individual should have passed successfully the USMLE step 1 exam. USMLE Step 2 does not have any specific test date. Students have the option of choosing a date within a three-month eligibility period. However, USMLE 2018 test date for Step 2 CK cannot be in the first week of January or on major holidays. For USMLE Step 2 CS, the eligibility period is 12 months as it requires the student to go to the USA to appear for the test. As with USMLE Step 1, USMLE step 2 exam also requires candidates to get an ECFMG certification before applying for the test. Registrations for USMLE Step 2 exam CK and CS can be done through the Interactive Web Applications (IWA). Applicants can select a three-month eligibility period to appear for USMLE Step 2 CK. However, the eligibility period cannot be between the first 14 days of January and or on major holidays. For USMLE Step 2 exam CS 2017, applicants get a 12-month eligibility period as they have to travel to the USA for the test. Only the CK part of USMLE step 2 exam is scored. There is a specific score marked as the passing score. Above which you are pass and below which you are considered to have failed. For 2017 it was 209 and increases almost every year. Passing the exam does not necessarily mean you will definitely get a residency. Multiple factors are involved in landing a residency and luck also constitutes a part of it. The results are announced online within 4-6 weeks of the USMLE step 2 exam date.